Hello Dreamer!! : USS it is!!! 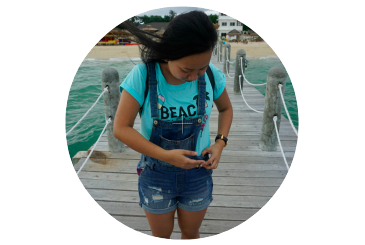 It was Sunday, and my last weekend in Singapore. I was thinking on whether I'd go on USS alone, or scrap the idea entirely. But hey, who could say no to USS? Well, my friends. :D But not me. So sariling sikap ako sa USS! I counted on people's kindness, and I was not disappointed. I would approach someone, a couple, or group of people, and would say "Can you take my picture, please? 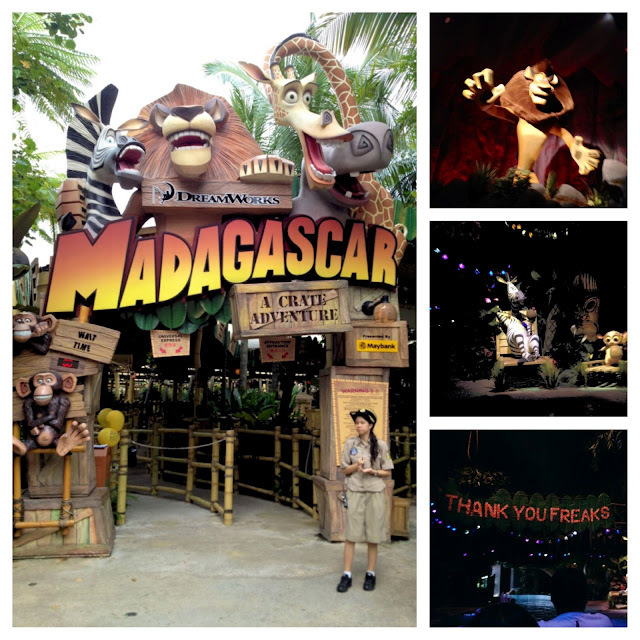 :)"
I first headed to Madagascar, and tried the Madagascar: A Crate Adventure. It was a river boat ride adventure. Don't worry though, you won't get wet in here. I proceeded to the Far Far Away, and went in to Shrek 4-D Adventure. I haven't watched any Shrek movies, but I enjoyed this 4-D film experience. 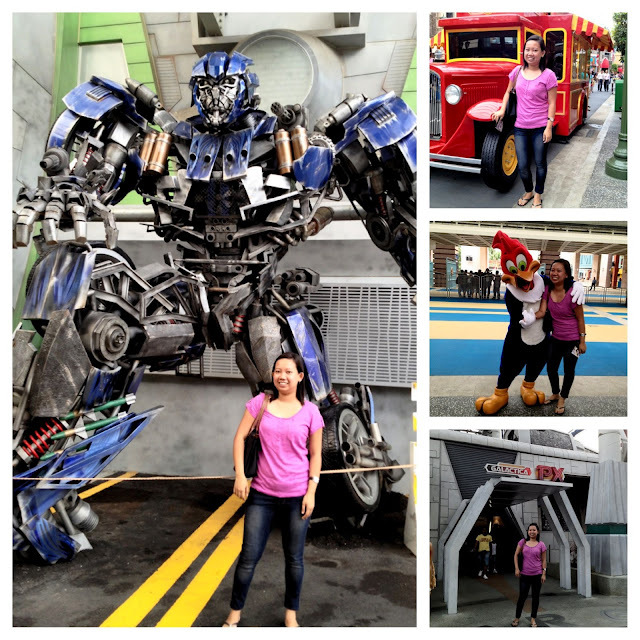 I went to the Sci-Fi City to experience the newest ride - Transformers The Ride: The Ultimate 3D Battle. This attraction lived up to its name, and it was my favorite of all the attractions in USS. No kidding, it was awesome!! When you visit USS, make sure you'd have a go with this ride. 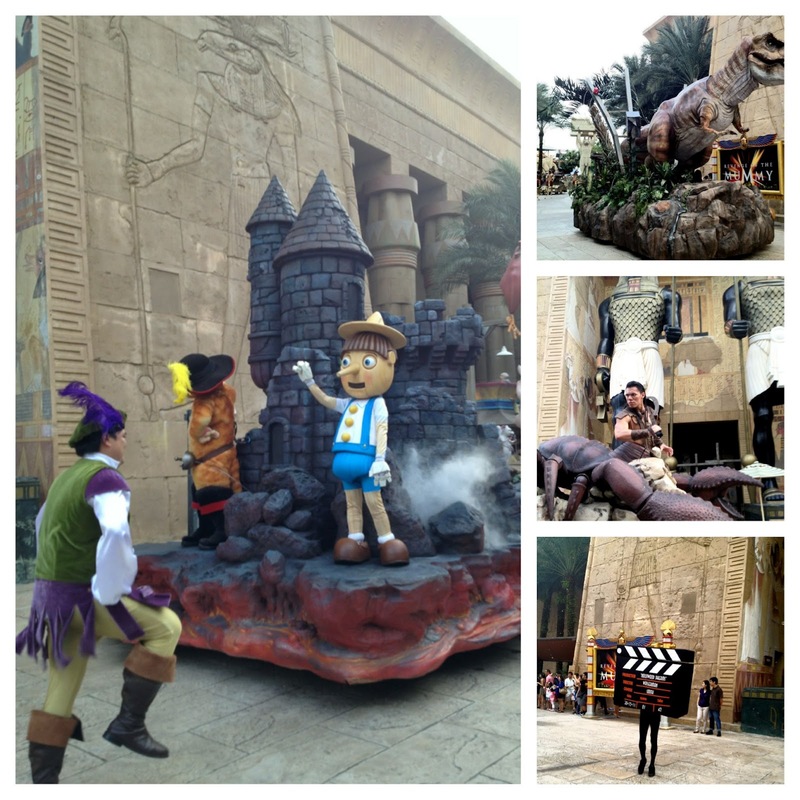 The best ride in USS!! Nope, I did not try the Battlestar Galactica. I was alone, if I puke, or something, no one will clean up for me. :P Excuses!! Okay, enough of my excuses. 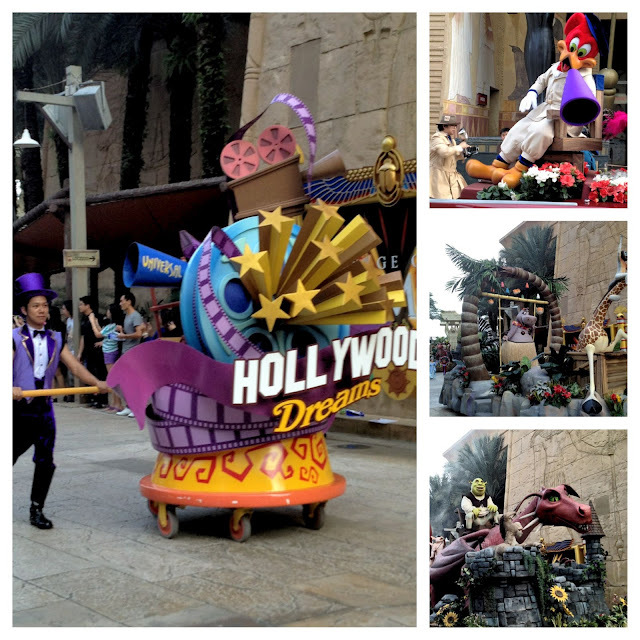 :D I just waited for the Hollywood Dreams Parade after the Accelerator ride. I liked the parade, and I was glad that I didn't miss it. The Madagascar and Shrek were my favorite. 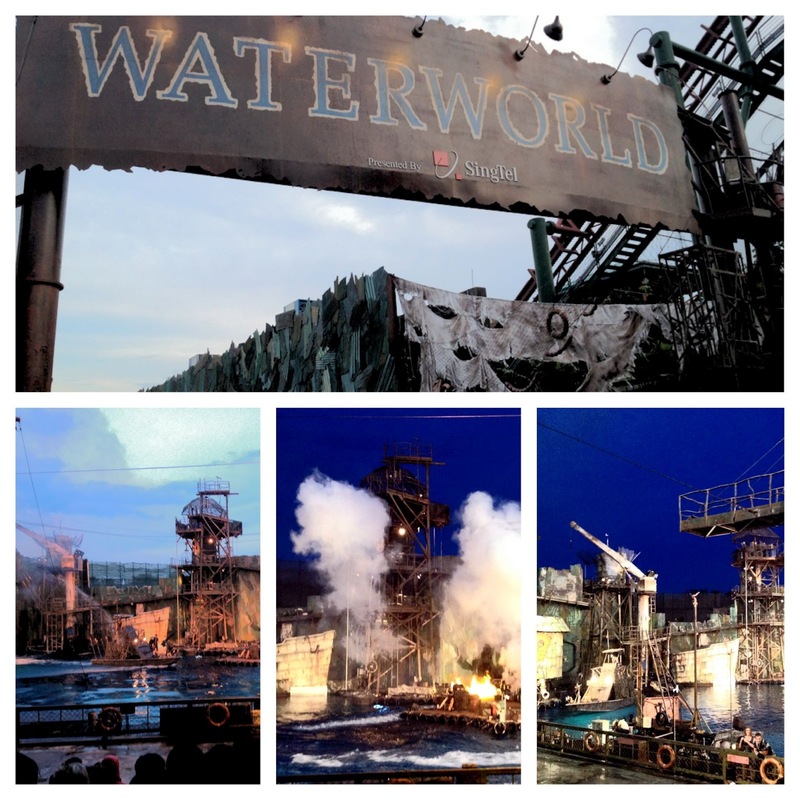 After the parade, I immediately went to the WaterWorld. I can't miss that! Oh boy, I was really glad I did get in. It was an awesome live water show. There were some cool stunts with real explosions to boot. The last attraction that I went into was in New York via Lights, Camera, Action which was equally cool. The story setting was a major hurricane will hit New York City. There were some incredible special effects. I was also able to see the a street entertainment like this one. I also saw one in the morning. 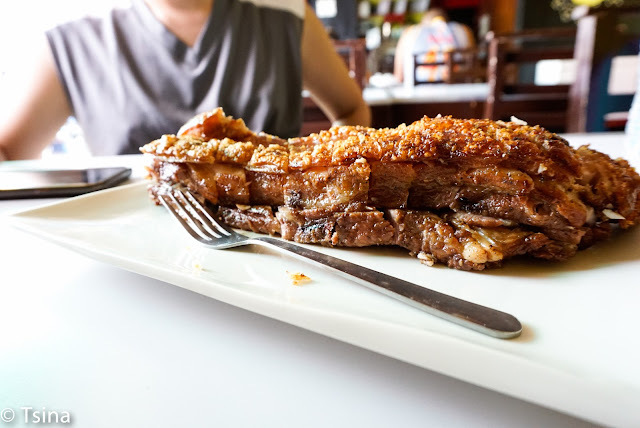 Sulit ang S$74 ko. :P It was a fun and wonderful experience for me. Now, I've been wanting to go to Disneyland, hopefully with friends. :P I need to start saving!! Wow super enjoy kahit solo! Ganda ng mga napuntahan mo. Na cancel pag punta namin Singapore sana matuloy next year. Buy ka na tripod para sa mga iba mo pang solo trips. hehe! You went there alone?! Me, too! Last June 7 to 11. Did I bump into you? LOL. I still have to write everything that transpired. Great place!